Two dimensional numerical study of the effect of high thermal conductive baffles on natural convection heat transfer in saturated porous medium inside enclosure. The top and bottom surface of the enclosure are insulated, the two vertical walls of the enclosure have different constant temperature, high conductive thin baffles are attached on the two vertical walls. The governing equations were solved by finite difference method. The results inserted for different value of Rayleigh number and different position’s of the baffles with change in length of baffles, when the baffles attached to the hot and cold walls in distances (0.25,0.75) respectively from bottom surface, also when the baffles attached to the hot and cold walls in distance ( 0.75 , 0.25 ) respectively from bottom surface. The length of baffles in the two cases changed in range ( 0.2 – 0.8 ). For the above cases The Rayleigh number changed in range ( 150 – 750 ). The results are represented by streamlines and isotherm lines to show the behavior of the fluid circulation and temperature distribution. Also some graphics had been obtained which represent the relationship between Nusselt and Rayleigh numbers with the position and length of baffles. The results show that increasing Rayleigh number leads to increase in the Nusselt number for two cases. But in the two cases the increasing in the baffles length results a decreases in Nusselt number. الحواجز ذات الموصلية الحرارية العالية على انتقال الحرارة بالحمل الطبيعي في وسط مسامي مشبع داخل حيز. السطح العلوي والسفلي للحيز معزولين السطحين العموديين للحيز ذوا درجات حرارة ثابتة ومختلفة، الحواجز الرقيقة ذات موصلية حرارية عالية مثبة على السطحين العموديين. تم حل المعادلات المتحكمة بطريقة الفرو قات المحددة. أدرجت النتائج لقيم مختلفة لعدد رالي، ولمواقع مختلفة للحواجز ولأطوال متغيرة عندما تكون الحواجز المثبة على السطح الساخن والسطح البارد على ارتفاع ( 0.75 , 0.25 ) من السطح السفلي على التوالي وكذلك عندما تكون الحواجز المثبة على السطح الساخن والسطح البارد على ارتفاع ( 0.25 , 0.75 ) من السطح السفلي على التوالي. تم تغيير طول الحاجز في الحالتين ضمن مدى (0.8 – 0.2) فضلا عن تغيير عدد رالي ضمن مدى (750 – 150). تمثلت النتائج بخطوط الانسياب وخطوط ثبوت درجات الحرارة التي تظهر صيغة الانسياب وتوزيع درجات الحرارة. كذلك تم الحصول على بعض الرسومات البيانية التي مثلت العلاقة بين عدد نسلت وعدد رالي مع موقع وطول الحاجز، من النتائج تبين بان زيادة عدد رالي في الحالتين تسبب زيادة عدد نسلت أما زيادة طول الحاجز فأنها تسبب تناقص عدد نسلت في الحالتين. In this study a new criteria is adopted by the use of Rectilinear Diameter principle to express the saturated vapor and liquid enthalpies at the coexisting phases for pure substances and mixtures, this requires another relation that used to calculate enthalpies of vaporization at the corresponding temperatures. The relationships between saturated vapor enthalpy, saturated liquid enthalpy and pressure are investigated for many pure substances. These investigations show that the saturated vapor and liquid enthalpies cannot be described by pressure as a simple general relation. New simple correlations are developed for pure substances and mixtures. These correlations are based on the principle of Rectilinear Diameter depending on the law of corresponding states, where DH is introduced as a dimensionless term including the average reduced saturated enthalpies. The relations developed are: For Pure Substances For Mixtures The constants A and B are correlated by the following relations: The second relation developed by fitting of literature values using Maximum Likelihood Principle for twenty pure substances out of thirty, and then applying them successfully to the remaining components, which indicates the generality of this correlation. These correlations can be applied successfully up to the critical region. To use this method it requires the values of critical temperature and normal boiling point temperature, and any suitable correlation used to calculate enthalpies of vaporization. The present new method of calculation of saturated enthalpies compares favorably with any equation of state, for example when using Lee – Kesler equation of state. The comparison shows that the accuracy of the proposed method is better than that of Lee and Kesler at the saturation region. This is in addition to the fact that the present correlations are straight forward, easier, and simpler as compared with that of Lee and Kesler method. These correlations can be further developed to be used directly for design purpose of distillation operations, and other processes that involves vaporization, condensation phenomena. تظمنت هذه الدراسة استخدام مبدأ نصف القطر الخطي للتعبير عن الأنثالبيات المشبعة في منطقة البخار والسائل المتاخمة ، وهذا قد تطلب استعمال علاقة مناسبة لحساب حرارة التبخر الكامنة. أن العلاقات بين أنثالبية البخار المشبع مع أنثالبية السائل المشبع مع الضغط قد تم التحقق فيها بأستخدام بعض المواد النقية ، وقد بينت تلك الدراسات إن الضغط لا يمكن استخدامه لوصف الأنثالبيات المشبعة البخارية والسائلة بعلاقات عامة مبسطة. تم في هذا البحث تطوير علاقات جديدة مبسطة للمواد النقية والخلائط ، وقد استعمل مبدأ نصف القطر الخطي وقانون الحالات المتناظرة كأساس في تطوير وتبسيط هذه العلاقات حيث ادخل المتغير DH كمصطلح جديد متظمناً المعدل المختزل للأنثالبيات الغازية و السائلة المشبعة ، وتلك العلاقات هي : للمواد النقية	للخلائط	أن الثوابت A و B أمكن ربطهما بعلاقات مبسطة كما مبين ادناه: أن العلاقة الثانية استحدثت باستخدام طريقة (Maximum Likelihood Principle) باستخدام القيم في الأدبيات لعشرين مادة نقية ، وقد طبقت هذه العلاقة على بقية المواد المستخدمة مما يدل على عمومية هذه العلاقة. لا يتطلب استعمال هذه الطريقة لحساب الأنثالبيات المشبعة سوى معرفة درجة الحرارة الحرجة و درجة الغليان. هذه العلاقات يمكن تطبيقها بنجاح إلى حد المنطقة الحرجة. تم مقارنة الطريقة الجديدة باستخدام معادلة الحالة مثل معادلة Lee- Kesler. وقد أظهرت المقارنات ان الدقة المتوخاة من الطريقة الجديدة اكبر بكثير منها في طريقة Lee- Kesler. إن العلاقات المطورة يمكن تطويرها اكثر ليتسنى استخدامها بصورة مباشرة في الأغراض التصميمية لعمليات التقطير والعمليات الأخرى التي تتضمن وجود ظواهر التبخير والتكثيف. 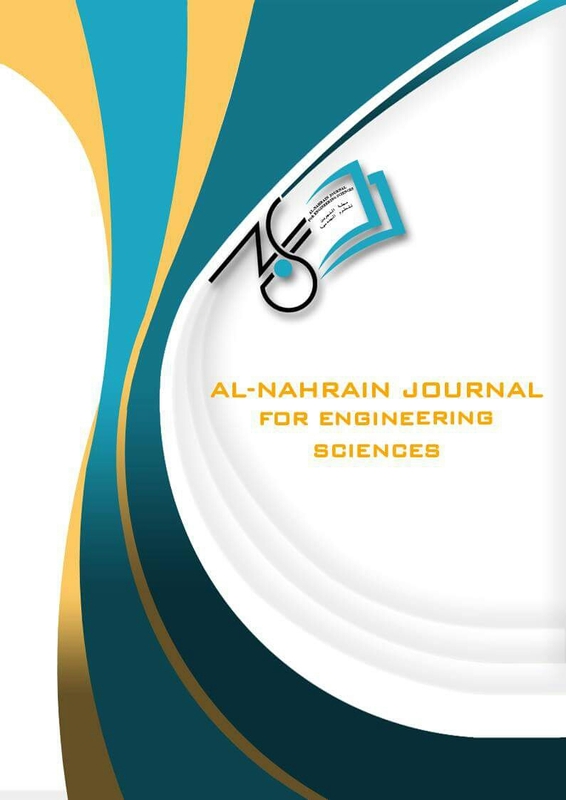 Experimental investigation was conducted to study the dynamics of double-pipe heat exchanger using step change in flow rate of hot water and observe its effect on the temperature of cold water and it was found that the transfer function can be represented by first order system plus dead time (FOPDT). MATLAB 7.4 simulation and programming was used to show the response of close-loop system using P, PI, PID and fuzzy logic control. The Smith predictor was used to remove the effect of transport delay on the process and it was found that this method greatly improve the response of the system. The stability of the overall closed loop system was proved by using Bod plot diagram. لقد تم اجراء تجارب عملية لايجاد ديناميكية المبادل الحراري من نوع الانبوب المزدوج عن طريق اجراء اضطراب تدريجي في معدل جريان الماء الحار و ملاحظة التغير الحاصل في درجة حرارة الماء البارد الخارج للمبادل الحراري وقد وجد بانه يمكن تمثيل النظام بدالة تحويل من الدرجة الاولى مع تعويق زمني. تم محاكات النظام عن طريق استخدام برنامج MATLAB لغرض دراسة السيطرة على المبادل الحراري وباستخدام طرق مختلفة مثل التناسبي والتناسبي التكاملي والتناسبي التكاملي التفاضلي و السيطرة الضبابية. وقد تم ازالة تاثير التعويق الزمني عن طريق استخدام Smith predictor وظهر تحسن كبير في سلوكية النظام اخيرا تم دراسة استقرارية النظام ووجد بان النظام مستقر. The basic approach taken here works by finding predictable higher-order statistics of “natural” images within a multi-scale decomposition, and then showing that embedded messages alter these statistics. A Fisher linear discriminant analysis is then used to discriminate between untouched and adulterated images. Detection system suggested here is used to detect seven systems these are: hiding in LSB, hiding in palette, hiding in DCT simple level security, and hiding in wavelet simple level security. In addition, highly-secret systems were constructed, i.e. systems that integrate Cryptography with Steganography in both domains, DCT and Wavelet. Moreover, system of hiding in multiwavelet was used with cryptography. إن الأسلوب الرئيسي المتبع هنا يعمل عبر إيجاد إحصائيات ذات تنظيم عالِ قابل للتنبؤ للصورة الطبيعية خلال تحليل متعدد المستويات ومن ثم عرض تغيير الرسائل المطمورة لهذه الإحصائيات. ويستخدم من بعد ذلك تحليل فيشر التحليلي الخطي في التمييز بين الصورة الأصلية و المطمورة. أستخدم نظام الكشف المقترح في كشف سبع أنظمة وهي: الإخفاء في LSB , الإخفاء في Palette , الإخفاء في DCT مع مستوي سرية بسيط , والإخفاء في Wavelet مع مستوى سريه بسيط. وبالاضافه إلى ذلك , تم بناء أنظمة عالية السرية وبمعنى أخر الأنظمة التي تدمج الكتابة السرية والكتابة المغطاة في المجالي DCT و Wavelet والأكثر من ذلك أستخدم الإخفاء في Multiwavelet مع الكتابة السرية. This paper develops a system level architecture for implementing a cost-efficient, FPGA-based real-time FFT engine. This approach considers both the hardware cost (in terms of FPGA resource requirements), and performance (in terms of throughput). These two dimensions are optimized based on using run time reconfiguration, double buffering technique and the “hardware virtualization” to reuse the available processing components. The system employs sixteen reconfigurable parallel FFT cores. Each core represents a 16 complex point parallel FFT processor, running in continuous real-time FFT engine. The architecture support transform length of 256 complex points, as a demonstrator to the idea design, using fixed-point arithmetic and has been developed using radix-4 architecture. The parallel Booth technique for realizing the complex multiplier (required in the basic butterfly operation) is chosen. That is to save a lot of hardware compared to other techniques. The simulation results that have been performed using VHDL modeling language and ModelSim software shows that the full design can be implemented using single FPGA platform requiring about 50,000 Slices. في هذا البحث تم تطوير معمارية جديدة بمستوى النظام لماكنة FFT قليلة الكلفة لمعالجات الزمن الحقيقي باستخدام دوائر ال FPGA . التصميم المقترح يأخذ بنظر الاعتبار تحقيق اقل الكلفة (بدلالة متطلبات موارد ال FPGA ) واعلى انجاز (بدلالة ال throughput) وذلك من خلال استخدام خاصية اعادة التشكيل في زمن التنفيذ , خاصية الخزن المزدوج , وخاصية اعادة استخدام المكونات المادية لدوائر ال FPGA . المنظومة المقترحة تستخدم 16 وحدة FFT متوازية قابلة لاعادة التشكيل . كل من هذه الوحدات هي عبارة عن معالج FFT متوازي بطول 16 نقطة مركبة . لذا فأن المعمارية المقترحة تستطيع تنفيذ خوارزمية FFT بطول 256 نقطة مركبة والذي استخدم كمثال لتوضيح فكرة التصميم. ان خوارزمية FFT التي تم اعتمادها في هذا البحث تستخدم معمارية فراشة الاساس-4 وحسابات النقطة الثابتة. في هذا التصميم تم اختيار اسلوب بوث (Booth) المتوازية في بناء دوائر الضرب المركبة المطلوبة لانجاز عمليات الفراشة (وحدة البناء الاساسية لخوارزمية ال FFT ) والتي تختصر المكونات المادية المطلوبة لتصميم دوائر الضرب قياسا للاساليب الاخرى. لقد اشارت نتائج المحاكات التي تمت باستخدام لغة VHDL و برنامج Model Sim الى ان التصميم الكامل للمنظومة يتطلب بحدود 50000 وحدة (Slices) ويمكن تنفيذها في FPGA واحدة. Segmentation of a color image composed of different kinds of regions can be a hard problem, namely to compute for an exact texture fields and make a decision of the optimum number of segmentation areas in an image when it contains similar and/or unstationary texture fields. A local novel neighborhood-based segmentation approach is proposed. Genetic algorithm is used in the proposed limited segment-pass optimization process. In this pass, an energy function, which is defined based on Markov Random Fields, is minimized. The proposed system uses an adaptive threshold estimation method for image thresholding in the wavelet domain based on the Generalized Gaussian Distribution (GGD) modeling of sub band coefficients. This method called Normal Shrink is computationally more efficient and adaptive because the parameters required for estimating the threshold depend on sub band data energy that used in the pre-stage of segmentation. A quadtree is utilized to implement the fast clustering segments for multiresolution framework analysis, which enables the use of different strategies at different resolution levels, and hence, the computation can be accelerated. The experimental results of the proposed segmentation approach are very encouraging.تكون عملية تجزئة الصورة الملونه من اصناف مختلفة من المناطق والتي هي صلب المشكله ابداء من حساب حقول القوام المضبوطة او اعداد الاجزاء المجزئة بصورة كفوءةعندما تتالف الصورة من حقلية متشابهة استخدمت الخوارزمية المثالية لطريقة التجزئه الكفؤة المقترحة ثم ساب دالة الطاقة والتي تعرف باعتمادها تقليل حقول (Markov) العشوائية ثم استخدام طريقة استخراج التدرج العتبي لتدرج الصورة في اطياف الموجيات (wavelet) والتي استندت على نمذجة توزيع (Gaussian) العامة تسمى هذه الطريقة ( بالتقلص الطبيعي) والتي هي طريقة كفوءة حسابيا ومتدرجة بسبب ان العوامل المطلوبه لحسابها قد اعتمدت على اطياف موجية لها طاقة فرعية والتي استخدمت في مرحلة ماقبل التجزئة. تم استخدام الشجرة الرباعية (quadtree) لتفيذ العمل متعدد الدقة والذي يمكن من استخدام ستراتيجيات مختلفة بمستويات دقه مختلفه. كذلك ان العملية الحسابيه بالامكان تسريعها ان النتائج المستحصلة من هذا البحث قد بينت بان هذه الطريقة هي طريقة مشجعة للدخول بها.